Please complete the below form and our team will to get back to you within 24 hours. 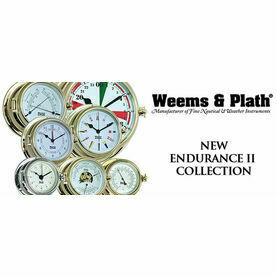 This 125 Comfortmeter from Weems & Plath’s Endurance collection displays both temperature and humidity on a generously sized dial, showing conditions that are ideally “comfortable”. 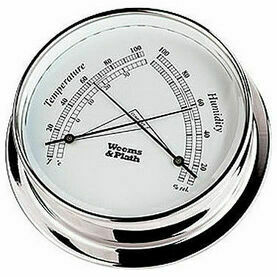 The thermometer displays temperature in both Fahrenheit and Celsius, with a hygrometer showing the percentage of relative humidity. 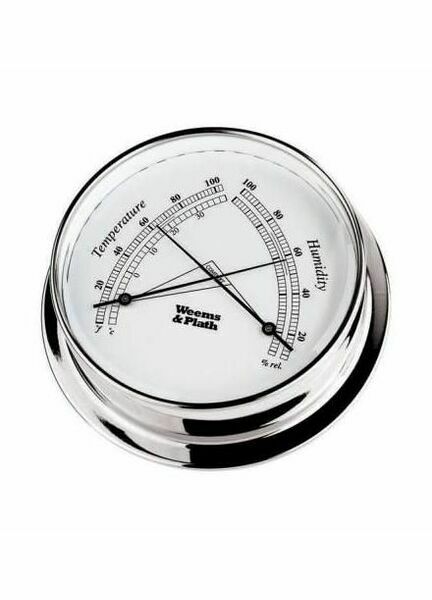 Weatherproof and designed for outdoor use, this 125 Comfortmeter has a maintenance-free, ultra-hard finish that is guaranteed NEVER to tarnish, making it a nautical gift that will last for years to come. Patented Slide-n-Lock Mounting System eliminates the need for visible mounting screws and is easily removed for necessary adjustments. 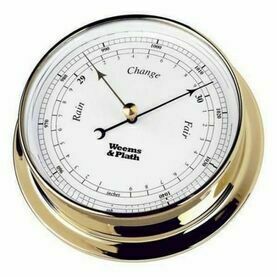 Experts in classic navigational equipment; Weems & Plath’s wonderfully traditional products take inspiration from over 80 years of nautical history. 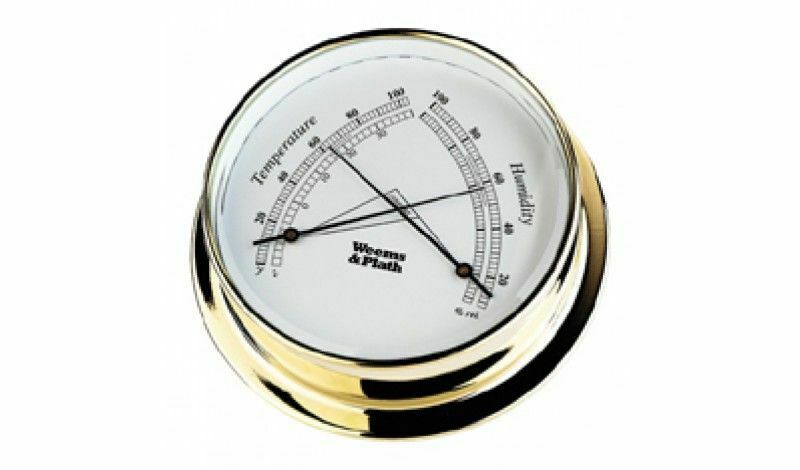 From weather instruments to clocks, they pride themselves in skill over technology. We are able to process orders from non-mainland UK addresses, including the Scottish Highlands and Islands, Ireland and the Channel Islands. How quickly will my order arrive? 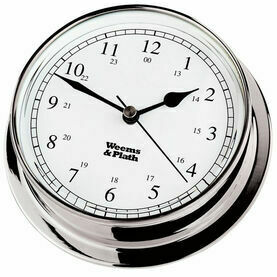 Our aim is to dispatch all orders placed before 12 noon on the same day. Any orders placed after that time will be dispatched on the next available working day. 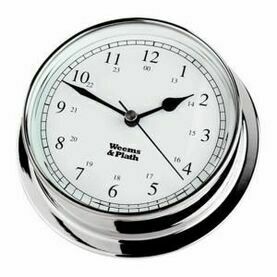 We will send you a notification email when your order has been dispatched. The time your order takes to arrive will depend on the delivery option you have choosen. 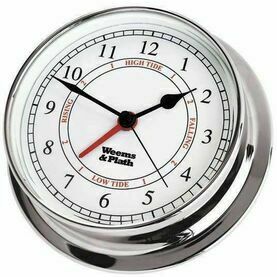 Whilst we try our best to dispatch every order following the above guidelines, during extremely busy periods, dispatch times may increase by up to one day. How can I track the status of my order? You will receive an email to confirm we have received your order and that your payment has been accepted. You will also receive an email when your order has been dispatched. In your dispatch confirmation email we will include any relevant tracking numbers, allowing you to track your parcel on either the Interlink/Royal Mail/UPS website. You will only receive a tracking number if you have chosen a tracked delivery option for your order. All orders are thoroughly checked before leaving our premises. On receipt of your order we request that you check the items as soon as possible. 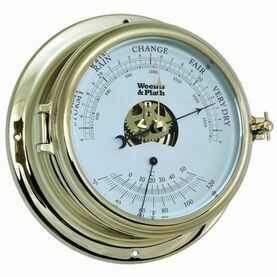 If you are unhappy with your order for any reason, please contact us immediately on 01326 375 482 or support@mylorchandlery.co.uk. Please have your order number to hand when you contact us as it will allow us to find your order quickly. If you are unsatisfied with your order in any way, please return it to us within 14 days of delivery for a refund or exchange. The item must be unused, be in its original packaging and be suitable for re-sale. Items bought in the sale are non-returnable and non-refundable. Postage costs for returning items to us can only be refunded if the item is faulty or damaged. We recommend that you send your order back to us by obtaining a ‘proof of posting’ (free at all Post Offices) or alternatively using a tracked delivery service. Please note we cannot be held responsible for any parcel lost during transit to us. Once your item has been returned, we will inspect it and take the necessary action as soon as possible. 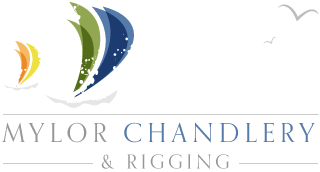 If any item you receive arrives damaged, please contact us as soon as possible on 01326 375 482 or by email support@mylorchandlery.co.uk. We will then advise you on the best course of action. 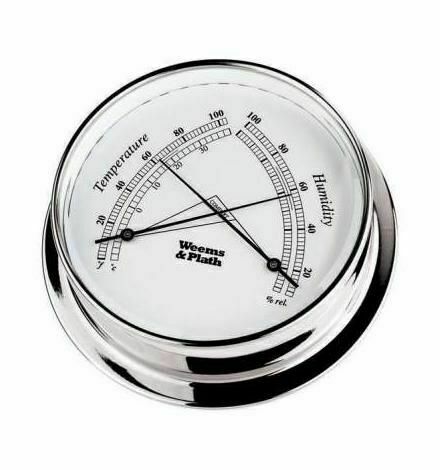 In most cases we will ask you to return the item to us for an exchange or refund. Unfortunately we can only refund your postage costs when you return an item to us that is faulty. Please do not return a damaged order to us without contacting us first.